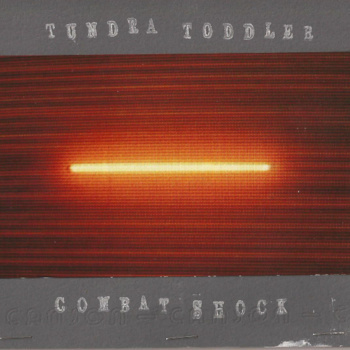 "Since 2007, Tundra Toddler has been the pulsating, drifting, musical dandruff of western Massachusetts native, Adam Kozak. "Combat Shock" is the new, 11-track, sonic result of two years worth of processing a divorce, the suicide of a close friend, multiple family members passing away, the overdose of Kozak's sister, and the monumentally destructive effect that the confluence of these events have had on those closest to him. He spent the fall and winter hiding in his ramshackle apartment writing and recording it with a bass guitar, microphones, a ton of old synthesizers and samplers, a harmonica, a Fender telecaster, assorted percussion, Ableton Live, and some stand-up friends. It's a love letter to those who have persevered after repeatedly being hacked away at the knees.